The ballerinas have it right, life’s better in a tutu. A classic tutu come in an array of different fabrics and lengths. Looking for a romantic tutu, try a soft bell-shape that reaches just below the calf or ankle in either silk or tarlatan. For a modern-day twist, look for a slightly short, more stiff tutu in either nylon or tulle. Carrie Bradshaw brought life back to this stunning silhouette and now every store is carrying them. When styled correctly, a tutu can give an instant street-style vibe to any piece you pair with it. 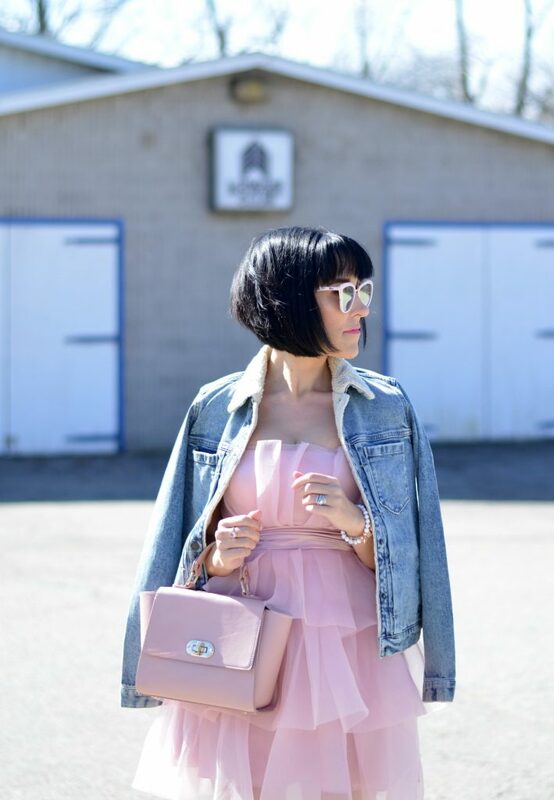 It’s feminine, girly, flirty and with a ton of flare. 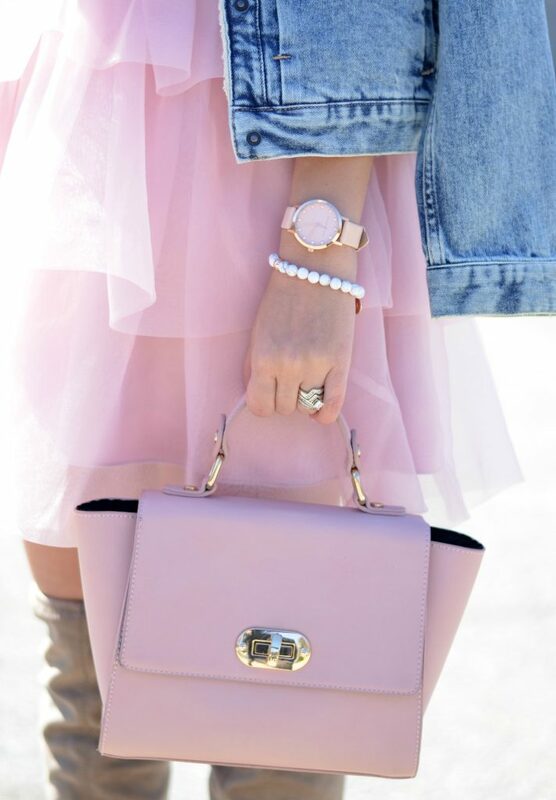 For a soft and romantic look, look for pastel shades of pink, teal and sky blue. Looking for an edgier look, trying pairing it with a chic black bomber jacket or biker boots. 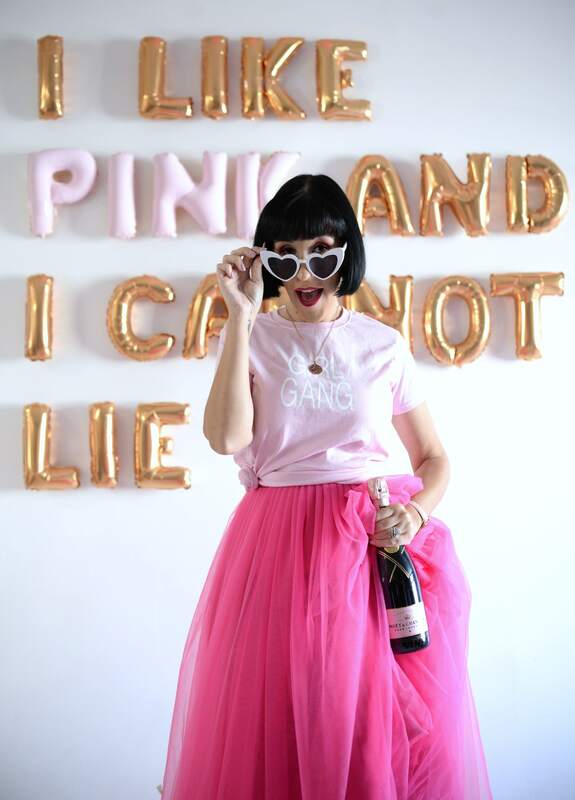 A tutu can be styled in an array of different ways and can easily take you from day to night. 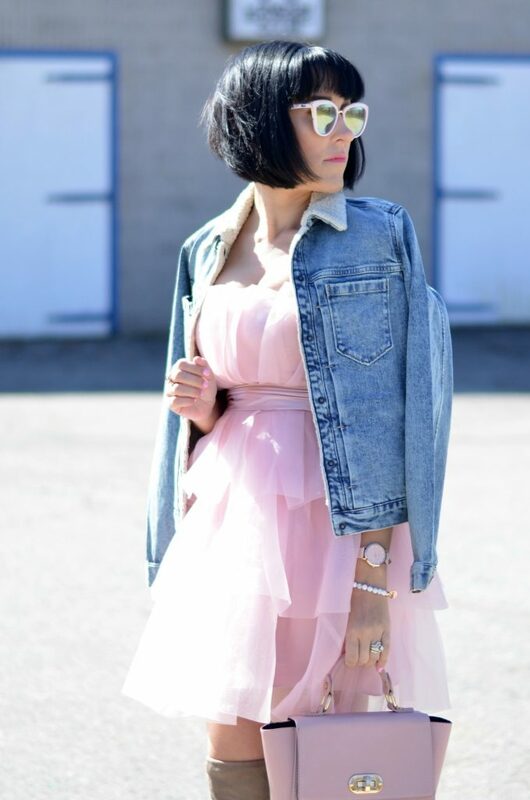 For todays look, I took this adorable pink tutu dress and paired it down with a demin jacket and OTK boots. I want to know, are you a fan of this trend? Would you wear a tutu dress? How would you style it?